13 Sep 2018 --- The National Confectioners Association (NCA) has published a new study examining how the sector impacts the US economy. At the same time, representatives from leading confectionery companies are in Washington for NCA’s 2018 Washington Forum, an annual fly-in program that connects the industry to members of Congress, government officials and other stakeholders. According to the new NCA report, the confectionery industry helps to create more than 600,000 jobs. Manufacturers of chocolate, candy, gum and mints directly employ nearly 54,000 people across the US, with more than 550,000 jobs supported in related industries, including agriculture, retail, transportation and more. For every job created in confectionery manufacturing, another ten are supported in related industries, creating a 1:10 multiplier effect, it claims. 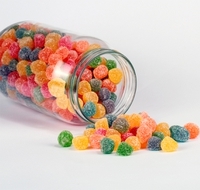 “The candy industry is a bright spot in the US economy, fueling the American economy to the effect of more than US$44 billion,” says John Downs, NCA President and CEO. Confectionery executives will spend time on Capitol Hill advocating for the industry, sharing this new economic impact data. In conjunction with the report, NCA has updated their dedicated economic impact digital hub, PowerOfSweet.com. This online resource provides more information about the industry’s impact at the national, state and community levels, including an interactive map that provides a deep dive into the data behind the economic impact. The research for NCA’s report was conducted by a New York-based economic research firm John Dunham & Associates. Beyond the economic impact, America’s leading chocolate and candy companies are committed to community engagement, responsible marketing and assisting consumers in managing their sugar intake. Confectionery Chocolate Sweets Candy Mints Gum National Confectioners Association.